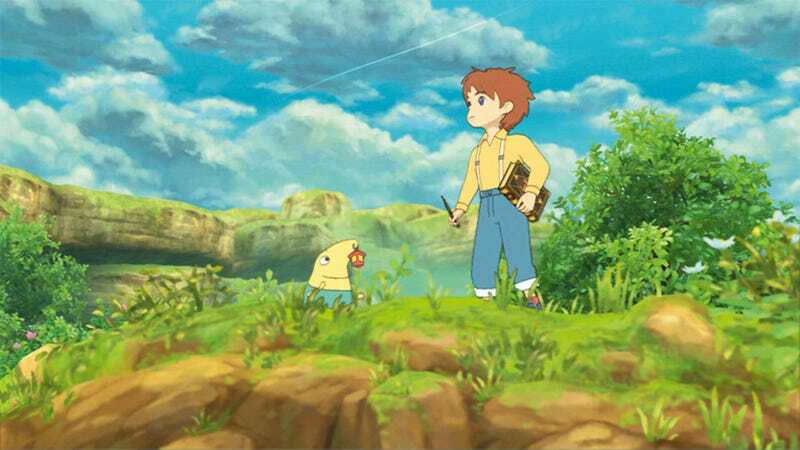 While Ni No Kuni was first released in the PS3 in 2011, it’s easy to forget that there was also an entirely different DS version of the game that was released in 2010. Mostly because that game was only ever available in Japan. Ni no Kuni: Dominion of the Dark Djinn featured mostly the same story beats, but was built from the ground up for Nintendo’s hardware, and played as a completely unique experience. It even came with a huge book of spells, which was designed to be on-hand while playing so you’d know how to cast them. It’s taken eight years (to the day, as both the original and this version were both out on December 9), but a team working over at GBAtemp (via Bya @ Resetera) have finally managed to build a complete fan-translated build of the game, which is now available for download. What’s more, they even translated the spellbook so you can print it out and have it with you. You can download the translation here. I remember being so excited for this game I got the Japanese version and tried to brute-force my way through it, to no avail, so I am super excited to try this out.